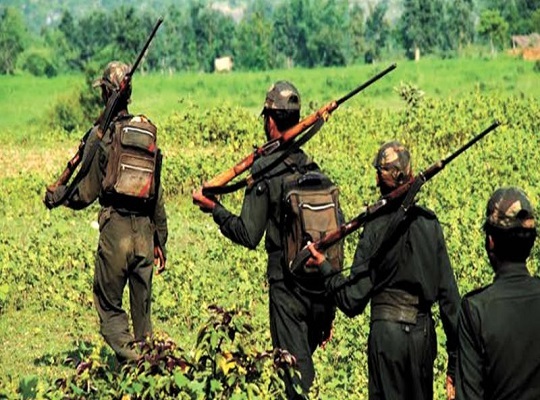 Bijapur: At least ten Maoists were killed in the encounter with the Special Task Force and District Reserve Guard in Chhattisgarh’s Bijapur on Thursday. According to Bijapur Superintendent of Police Mohit Garg, the encounter took place at 11 am at the bank of the Indravati river in Abhujhmaad. It was a joint team of the Special Task Force (STF) and the District Reserve Guard (DRG). The security personnel are said to have recovered a huge cache of arms from the spot. Search operations are still underway in the area.